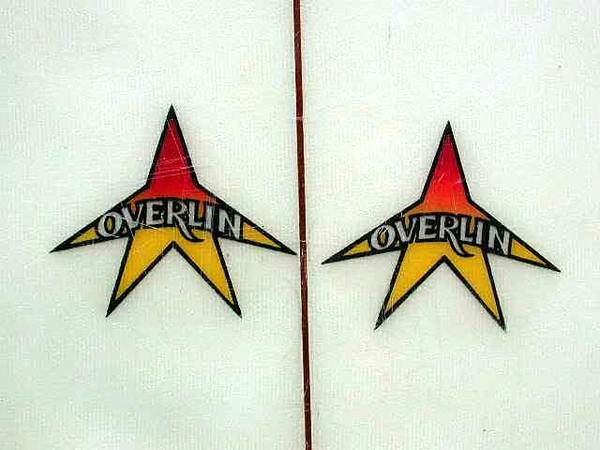 : Board Collector: Tom Overlin shaped 'Duo' from the 70's. Tom Overlin shaped 'Duo' from the 70's. 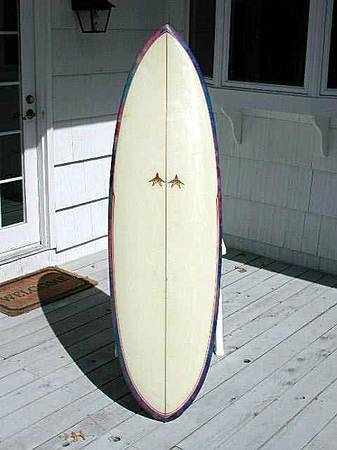 I was pretty excited to see this 70's, 6' 4", all original, no leg rope plug, phycadelic resin tint, Tom Overlin shaped vintage twin fin from Westhampton Beach, New York pop up today. 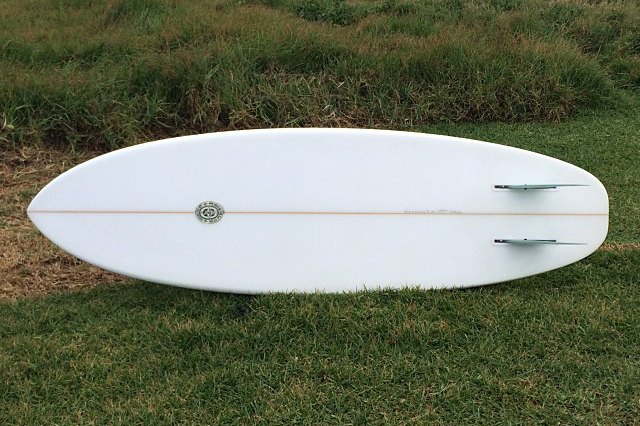 I'm pretty excited because this blog was originally conceived as a vehicle to test and revisit surfboard designs of the past, to see if they hold any lessons or relevance to surf board designs of today. 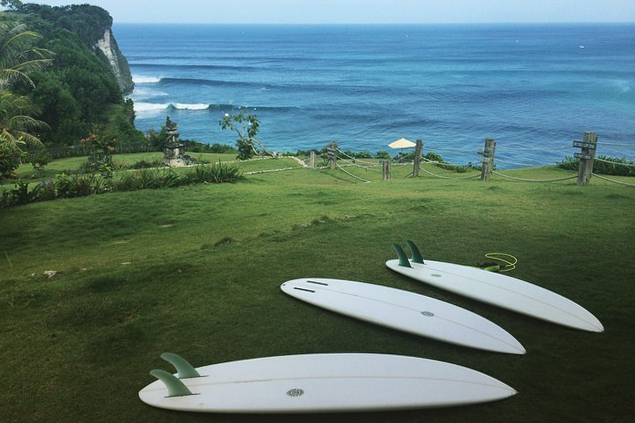 To explore the idea that perhaps some valuable innovations of the past have been overlooked due to the politics or fashions of surfboard design at the time. 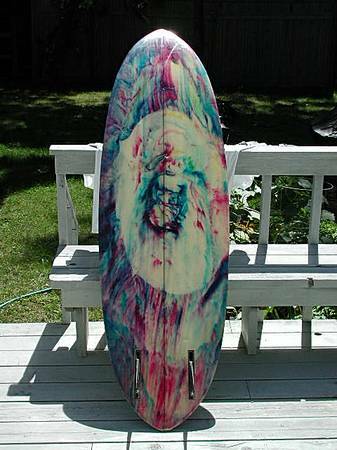 For example, this brief led me to revisit the 5'11" McCoy single fin that Cheyne Horan rode at Wiamea in 1983 as featured in the movie 'Follow the Sun'. This episode of experimentation was ridiculed at the time, but Geoff and Cheyne were testing rockers and outlines that have since been proven to be absolutely correct for riding big waves. 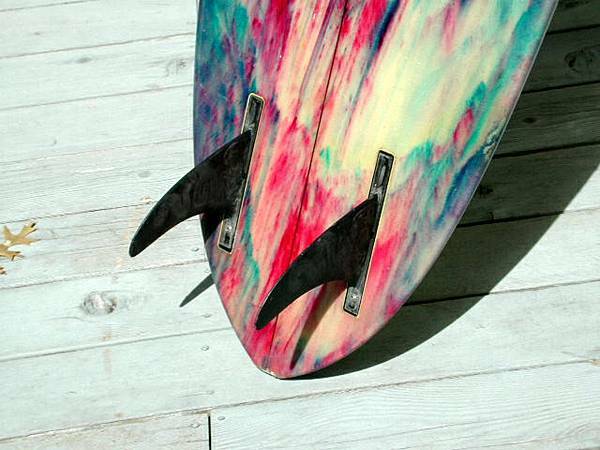 We now see tow surfers sucessfully riding exactly this type of design at the worlds biggest breaks. Although in this video Neal doesn't make any reference to the fact that this design and fin placement had been tried before in the 70's, this video of him at Uluwatu proves the designs functionality. I'm a big fan of Neal's surfing and shaping and he is to be commended for his open mindedness and willingness to revisit innovations of the past and embrace their functionality.